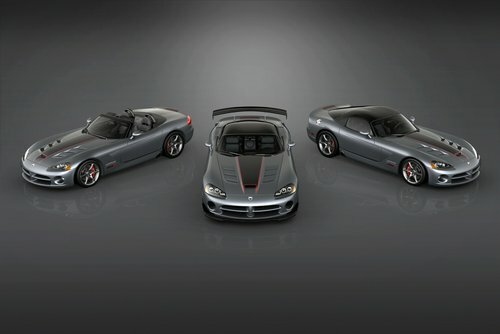 Auburn Hills, Mich., Apr 6, 2010 - To celebrate the final year of production for the current-generation Dodge Viper, Dodge is building a limited production run of just 50 2010 Viper SRT10 "Final Edition" models. The venerable 8.4-liter (510 cu. in.) V-10 engine remains the heart of the 2010 Dodge Viper SRT10. With 600 (450 kW) horsepower and 560 lb.-ft. (760 N.m) of torque, benchmark performance numbers, (including 0-60 mph in less than 4 seconds, quarter-mile time in the mid 11-second range, 0-100-0 mph in 11 seconds flat and a top speed of 202 mph) continue to prove how the serious, race-inspired, street-legal two-seater performs without apology.